Scotland Highland travel photos. A trip through the Scottish Highlands, including Isle of Skye, Glen Coe, Culloden Battlefield, Wallace Monument, Stirling Castle, Loch Ness and a whole bunch of sites in between. 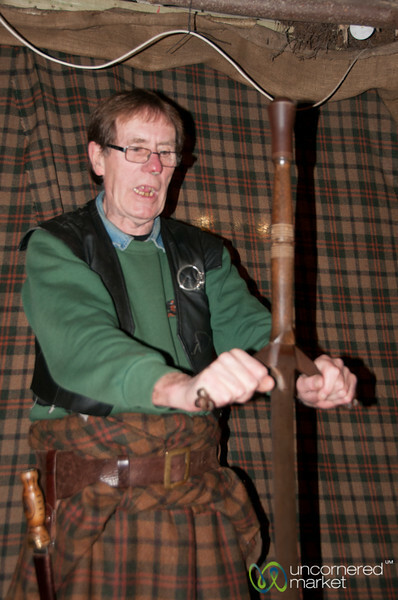 Weapons demonstration at the Clansmen Center in Fort Augustus, Scotland.